United Breast Cancer Foundation cordially invites you to attend the Diamond District Windows Ribbon Cutting Ceremony and Reception in honor of artists impacted by Breast Cancer. The Ribbon Cutting ceremony, hosted by 47th Street’s Diamond District BID, will be held on January 24th at 4:30 pm with a celebratory reception to follow for artists and guests. Invitation attached. Share with your friends! 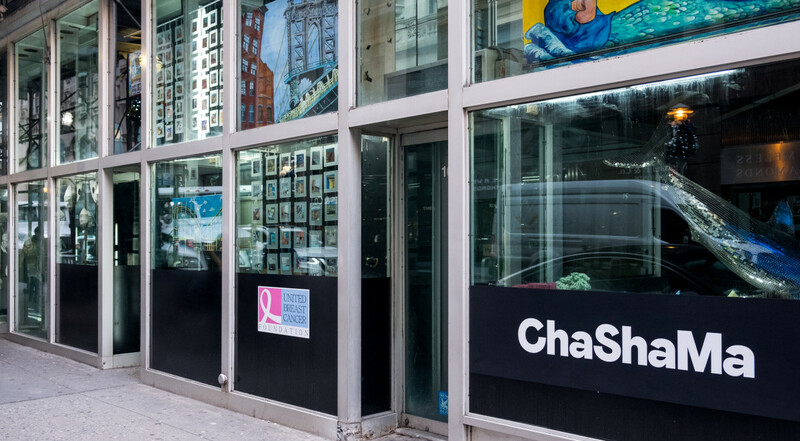 UBCF has partnered with ChaShaMa to provide artists impacted by breast cancer with coveted ground floor window space in New York City’s Diamond District on West 47th St. in Manhattan, NY. The Window Spaces receive heavy foot traffic in the heart of New York City’s Diamond District, giving coveted space to the exhibiting artists to present their work, engage with communities impacted by breast cancer, and bolster awareness of UBCF’s commitment to breast health and wellness.